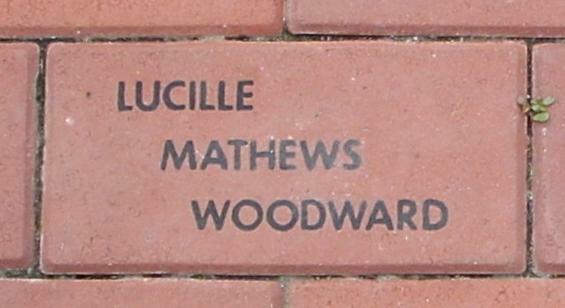 Mrs. Lucille Auletta (Mathews) Woodward of rural Salisbury, Connecticut, was born May 17, 1884 in Maryville, Missouri, daughter of Iowa born Cora Belle (Dunn) and New Jersey born Irvin Mathews. She was assumed to have died at the circus grounds after the fire on July 6, though her body was never identified. Mrs. Woodward's husband, Edwin, was also a victim of the circus fire, and a funeral for both was held at Salisbury Congregational Church*. Lucille leaves her daughters, Mrs. Doris E. Durst, 25, and Mrs. Ruth L. Hines, 29, who also lost her son Peter in the circus fire; her brothers, Arthur M. Mathews, 55, and Frederick James Mathews, 35; and her sister Mrs. Anne M. Blakesley, 59. She was predeceased by her brother Cecil Irvin Mathews in 1925, age 29. Mr. and Mrs. Woodward attended the circus with their grandson, Peter Hines, 5; their friends Mrs. Edith Corttis, 57, and Mrs. Elizabeth Putnam, 44; and Mrs. Putnam's daughter, Mary Putnam, 9. No one in the party would survive. 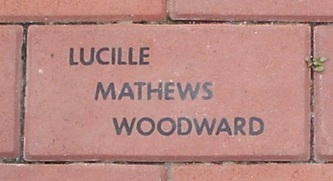 Lucille's estate was awarded $11,000 by the arbitration board.